 Once in a lifetime change to raft down the wild rapids of Kuhmo with inflatable boat. With our experienced rapid guides you are perfectly safe to raft the rapids and enjoy the splashes. Experience the unforgettable adventure in foaming rapids, big white waves and breathtaking sceneries! 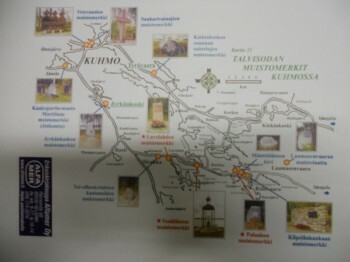 First a short walk to the Winter War museum from the hotel (150 m), where guide tells you about the Winter Wars happenings in Kuhmo. Tour continues from the museum to battle fields (with groups own bus). On the way youll see many memorials. 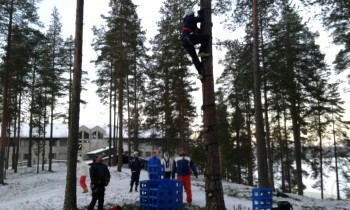 Snack break at Ala-Laamanen. Tour is available from April to November. Duration 5 hours. 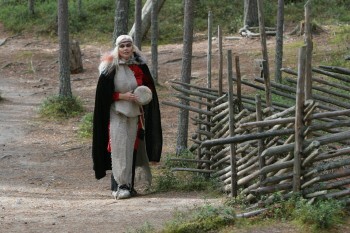 With extra charge possibility to visit Raatteen Portti in Suomussalmi. Snacks with extra charge. 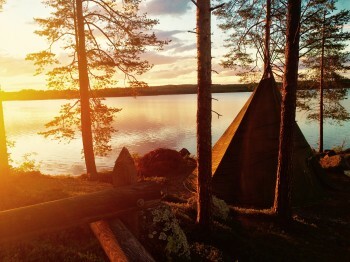 Best way to spend your summer evening is to enjoy evening in the "kota"-teepee at the hotel beach. Grill sausages and make coffee with open fire. Everyone can make their own "pancake". Spend the evening singing songs or telling stories by the fire. Old times dinner is arranged either in Hotel Kalevalas cabinet or in Northern house near the hotel, depending on the number of participants. Place is decorated old times fashion; guests sit at long tables and oil lanterns will be the only light. Traditional zither music plays on the background. Waitresses are wearing a long old fashioned skirt with white aprons, scarves on their hair. 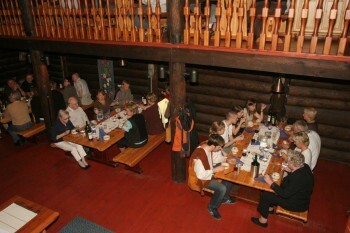 At the beginning lefses, Karelian pies, rye bread, butter and egg-butter are served, with carrots, cabbage and swedes. Lapse through the years. All the eating happens over a round, flat bread. You only have a wooden spoon. Nostalgic. Tapiola, the forest kingdom in Kalevala national epic, serves you oven porridge, and Ahti, God of the sea and fishing, serves His finest fish with vegetables, root vegetables which you eat with your fingers. Different types of sausages and grilled pork ribs are served in black cauldrons and finally Finnish blueberry pie with kama cream for dessert, together 6-7 courses. Live in a moment and enjoy an old times fashioned evening. 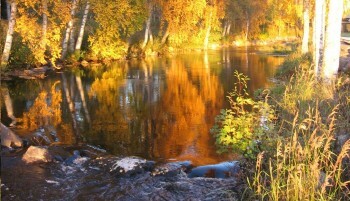 The exciting swim takes place in the Pajakkakoski rapid in the centre of Kuhmo. The preparations for the swim include dressing in thermal underwear and a rescue suit with assistance from your guide. The first step is to get used to floating in the river and then the safety procedure and matters related to swimming down the rapid are explained. The participants swim down the rapid one by one. 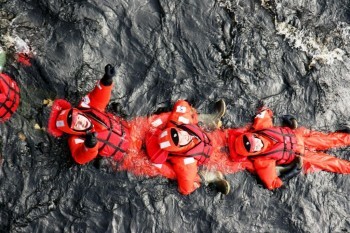 There are two guides at the end of the rapid to make sure everybody gets out of the water safely. The experience is completed by having a warm toddy in a tepee below. Transfer hotel - Pajakkakoski - hotel included in the price.